Jodi Schlenker, 52, was born February 23, 1966 and passed away November 30, 2018. She is survived by her husband, Bob Higgins; mom, Nina Moore; stepmom, Nora Schlenker; two brothers, Mark (Kathy) and Todd (Sue) Schlenker; nieces, Cailey and Willow; nephew, Cole; Aunt, Darla Davis; mother and father-in-law, Marti and Virgil Webb; brothers and sisters-in-law, Todd Scharf, John Huebner (Kim), Doug Webb (Susie), Andi Hatch (Jeff), Saul Herrera, Mike Florman (Cheri), Marie Ratliff, Becky Jefferies; nieces, Katie, Sara, Shelly, Andrea, Kaelyn, Niki, and Sami; nephews, Bryan, Vinny, Joey, Tony, Nate, Matt, Zak, Seth, Ryan, and Mitch. She was very proud to have so many special nieces and nephews. Jodi was honored to have two special godchildren: Emily and Ben Miller-Todd. She was preceded in death by her father, Bill Schlenker; sisters-in-law, Lisa Herrera and Deb Scharff. Jodi was born in Des Moines, Iowa, and grew up in Ankeny, Iowa. 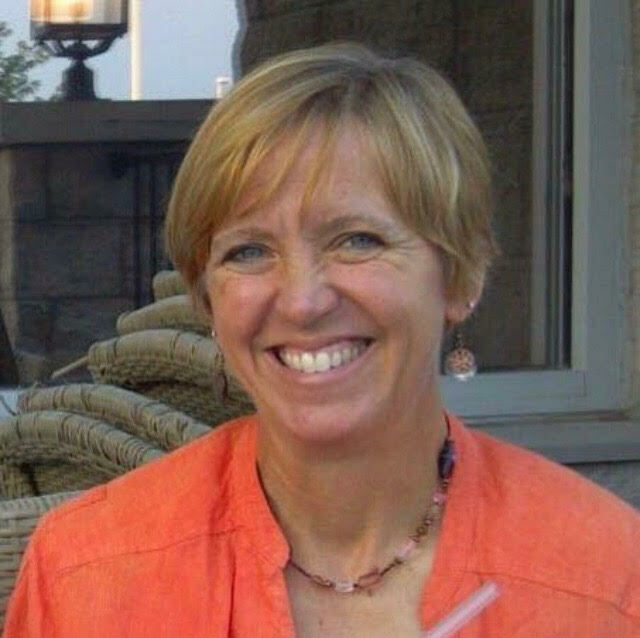 She was a teacher for Des Moines Public Schools for 27 years. She married Bob Higgins in 1991. They lived in the country north of Valeria. It was here they started J&B Connection, a horse training and boarding facility which continues to this day. Jodi was a member of Berwick Congregational Church for more than 30 years. She taught Sunday school and helped with summer bible camp, she served on the board and initiated a prayer warrior group. Jodi was an active member of Flying Arrow Saddle Club for many years. She not only showed her horses at their shows, but was the president of the board and a board member for many years. Visitation will be held from 4 – 7 p.m., Friday, December 7, 2018, at Hamilton’s near Highland Memory Gardens, 121 NW 60th Avenue in Des Moines. A memorial service will be held at 10:00 a.m. on Saturday, December 8, 2018, also at the funeral home. In lieu of flowers, please donate to Berwick Church, 5673 Northeast Berwick Drive, Berwick, IA 50032 PO BOX 308, to kidney cancer research or plant a tree in Jodi’s memory.